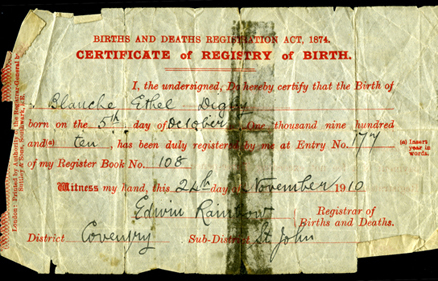 Blanche Ethel Digby was Born on the 5th October 1910 at 75 Gosford Street Coventry. The Digby family were livng above William Montgomery's shop in the City Centre. After Blanche's birth the family moved to Foleshill on the outskirts of Coventry. 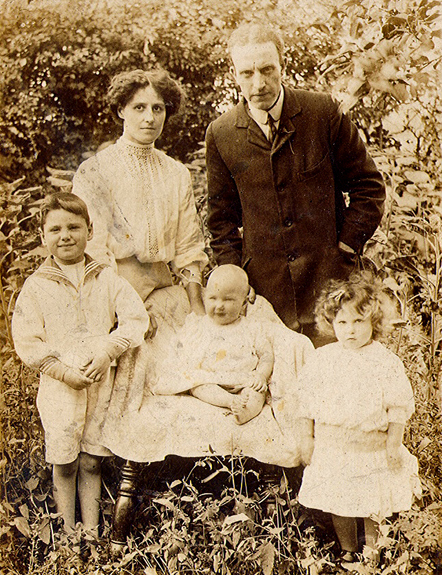 The photograph (left) shows the Digby family in the Spring of 1911 in the garden of their new home in Alexandra Terrace, Little Heath, Foleshill.